Many consider the Atlantic Coast Conference to be the nation’s best for basketball. After watching UNC beat Gonzaga(my alma mater) in last year’s National Championship game it’s hard for me to argue. I saw how the WCC’s best couldn’t beat the ACC’s best in college, but I wondered how their best NBA players would match up with the ACC’s. “The Point God” was truly born to assist. For his career, Paul has led the NBA in assists four times and in steals six times. In total, Paul’s journey from New Orleans through Lob City to Houston has seen the Wake Forest product average 18.7 ppg, 9.9 apg, and 2.3 spg. Paul currently sits at 20th All Time in Win Shares (156.55), and has been named to an All NBA team 8 times.Paul’s consistent production post injury this season for Houston has allowed for a juggernaut to emerge on both ends. CP3 was a mainstay in the starting lineup during a very successful two seasons at Wake Forest. Paul’s freshman year saw the Demon Deacons finish at 21-10 behind a balanced offensive attack featuring five players averaging in double figures. Paul led the ACC in steals in 2003-2004 but Wake’s season ended in the Sweet Sixteen to #1 seeded St. Joseph’s. Paul’s last season in North Carolina saw the Lewisville, NC product blossom into a consensus All American. Paul led the Demon Deacons to a 27-6 record, including 13-3 in the ACC – good enough for 2nd in the conference behind eventual National Champ UNC. Following a successful sophomore campaign, Paul was selected #5 overall by New Orleans in 2005. The Greatest of All Time, Michael Jordan’s list of accomplishments could be a whole article. In fact, he could probably beat the WCC team all by himself. Jordan’s Hall of Fame career saw him lead the league in scoring ten times, win 5 MVPs, and claim 6 championships. You name it, he’s done it. Jordan was famously selected third overall in the 1984 draft behind Hakeem the Dream and Sam Bowie. Let’s just say I’m glad I didn’t pick Bowie over His Airness…. In 1981-82, Michael’s freshman season, legendary coach Dean Smith led his trio of MJ, Sam Perkins, and James Worthy to a first place finish in the ACC and an eventual national championship. Jordan’s sophomore season he averaged 20 ppg and led the Tar Heels to another 1st place finish in the ACC. The reigning champ Tar Heels entered March Madness as a #2 seed but lost in their regional Final to #4 Georgia 82-77, despite MJ’s game high 26 points. In his last season on Chapel Hill, Jordan won the Naismith Award, the Wooden Award, and just about every other honor imaginable. After a 14-0 ACC season, the #1 seeded Tar Heels were upset in the second round by a #4 seeded Indiana team 72-68. MJ’s teammate during UNC’s 1982 NCAA championship, James Worthy experienced wonderful success in the NBA as well. With his front row seat to “Showtime”, the UNC product averaged 20 points per game for a 7 year stretch, throwing down flushes assisted by Magic Johnson. Big Game James enjoyed Showtime, but not as much as he enjoyed Primetime. A 3x champ with the Lakers, Worthy was the Finals MVP in 1988. In Game 7 of the 1988 Finals, Worthy posted a casual 36/16/10 to secure the final title for Kareem and Magic. JW established himself as clutch performer during UNC’s title run in 1982. Named as the Most Outstanding Player of the Final Four, Worthy dropped in 28 points on Patrick Ewing’s Georgetown Hoyas. Worthy parlayed his play in the 1982 NCAA championship game into being selected #1 overall by the Lakers. With career averages of 22 points and 11 rebounds per game, Bob McAdoo holds down the starting power forward spot . Mac dominated almost from the outset, leading the NBA in scoring in his 2nd (30.1ppg), 3rd (34.5), and 4th (31.1) seasons in the league. As a young player McAdoo was also a shot blocking force, but as his 17 year career waned down that part of his game faded. McAdoo finished his career with 2 championships with the Lakers, once in ’82 and another alongside Worthy in ’88. After a dominant Junior College career, McAdoo went to the Tar Heels for the 1971-72 season. A consensus All American, McAdoo averaged a double-double and led UNC to a 26-5 record and a 1st place finish in the ACC. In a Final Four loss to Florida State, McAdoo was limited by foul trouble – scoring 24 points and 15 rebounds, despite only playing 28 minutes. The “Big Fundamental” was a consistent force in his NBA career, being named to an All-Star Team, All-NBA Team, and All NBA Defensive Team 15 times in his illustrious career. Duncan won 5 NBA Championships with the San Antonio Spurs, and although he isn’t currently in the Hall of Fame, he surely will be once he’s eligible to be voted in (4 years after retirement). Duncan dominated for the Demon Deacons over his four year career, averaging 16 ppg/12rpg/and 3.8 BPG. These numbers are held down by Duncan’s paltry (for his standards) 9 and 9 his Freshman year but by his Junior and Senior Season’s Timmy was winning awards left and right. Duncan’s senior season saw the Virgin Island’s product average a ridiculous 20 points/14 rebounds/ 3.3 blocks per game. Duncan is the All-Time ACC leader in blocks per game and certainly deserving of a starting role on this squad. So impressive were the soaring dunks of David Thompson that he earned the nickname “Skywalker.” After dominating in his sole season in the ABA with the Denver Nuggets, Thompson and the Nuggets moved to the NBA in 1976. The buckets didn’t stop coming (career 22.7 ppg) as Thompson was a go-to scorer for the Nuggets. In Thompson’s first six seasons in Denver, he averaged over 15 shot attempts and over 20 points every season. Thompson’s career was limited to 9 seasons as he battled with alcohol and drug issues, ultimately retiring at the age of 29 in 1983. It’s a shame to see that because since his days at NC State, Thompson was a beast. Three time ACC Player of the Year and Two Time College POY, Thompson averaged 26 points per game in college. His most impressive season, 1973/74, Thompson led the Wolfpack to a 30-1 season and an NCAA title victory over Marquette. Following the NCAA Championship, David Thompson was drafted first overall in both the 1975 NBA (Hawks) and 1975 ABA(Nuggets). After winning two titles at Duke, Grant Hill moved on to the NBA where he was an Eastern Conference All-Star 6 of his first 7 seasons with the Detroit Pistons. Unfortunately, Hill’s troublesome ankles derailed the talented stat sheet stuffer. In case you were wondering he is the fourth player to accumulate 9,393 points, 3,417 rebounds and 2,720 assists in his first six seasons, joining the ranks of King James, Larry Legend, and Oscar Robertson. Hill chalks the injury up to a misdiagnosis intially, and without it he certainly would have been a Hall of Famer. Hill kept the stat man busy inside Cameron Indoor as well, finishing his senior season as the ACC Player of the Year posting a line of 17/7/5/1/1. That effort impressed the Pistons enough for them to select Hill third overall in the 1994 NBA draft. Another player who’s promising career was ravaged by injuries, Sampson was the #1 overall pick in 1983 out of Virginia. Before injuring his knee in 1987, Sampson was a monster in the first four seasons of his career. Sampson averaged 20 and 10 for the Houston Rockets, and at 7’4″ Sampson had some “unicorn” abilities that we all love to see in bigs. Three-time College Player of the Year, Sampson balled at Virginia blocking three shots per game while averaging a double-double. Sampson experienced the most success of his college career in his sophomore season, finishing first in the ACC and eventually losing to UNC in the Final Four. 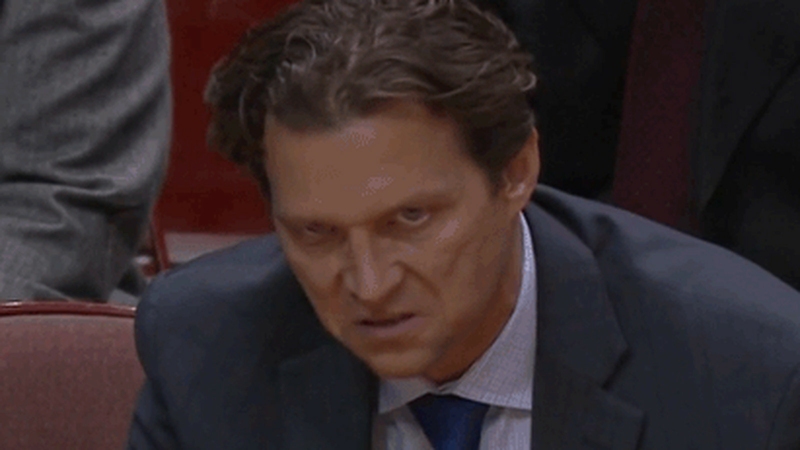 A player, assistant, and disciple of the legendary Coach K, Quin Snyder is the All Time ACC NBA Team’s head honcho. Despite looking like a villain from Batman, Snyder is a brilliant basketball mind and one of the most respected young coaches in the association. After learning in the School of Ainge about the art of architecting a team, Ryan McDonough was hired as the General Manager of the Suns in 2013. The Suns have been inconsistent in McDonough’s tenure winning 48 games his first season at the helm, but the roster has been dismantled and the club is in a clear rebuild. McD ‘s freshly inked contract extension will buy him time to wait out recent draft picks like Marquese Chriss, Dragan Bender, and Josh Jackson. Big miss on the coach pick. Rick Carlisle is a UVA alum, won a NBA title in 2011 and has over 700 wins as a coach. Carlisle has been a very good coach with an impressive 702-542 record and NBA Championship in 2011. However this list gives Snyder, an up-and-coming coach with recent successes in Utah, the nod. He took a bad team and made them good — 38 wins to 51 in under two years. Snyder’s style may be a little more reflective of the current NBA and so far his team with underwhelming talent is 14-16 while Carlisle’s is 8-22. Not even close. Rick Carlisle by a mile. Yea, the author must not be old enough to know Sampson was 3-time National Player of the year. Didn’t leave college even though LA and Boston begged him to. Only injuries stopped him. Snider may turn out to be a great coach, but Carlisle’s succes cannot be be unwritten for Snider’s one year. He needs to read up on UVA a little more. I’d replace the ever overrated Chris Paul with the best PG in ACC history: Jason Williams. Watched him live several times, dominated the ACC tourney by himself. The motorcycle injury derailed his greatness. Human highlight film, dumb mistake. Paul lost 1st Rd ACC tourney both years he was there, has never won a Division title in NBA, hasn’t visited the Finals. Very impressive individual stats, not a winner. Terrific referee baiter, is that a category?